Mega Sale! 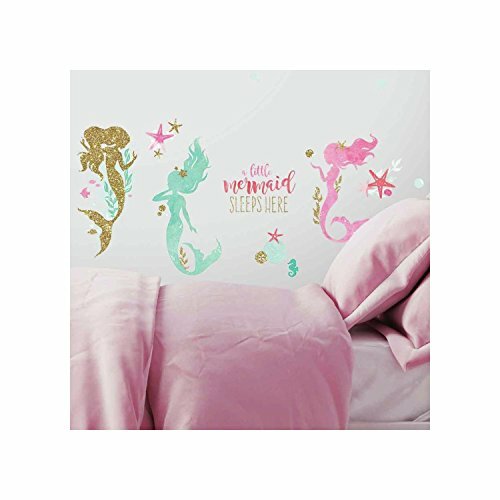 Save 26% on the RoomMates Mermaid Peel And Stick Wall Decals With Gltter by RoomMates at The Living Wall. MPN: RMK3562SCS. Hurry! Limited time offer. Offer valid only while supplies last. Update a space with RoomMates mermaid peel and stick wall Decals with glitter. Simply peel and stick to any smooth, flat surface for instant results.